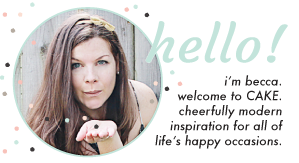 This week I had the pleasure of discovering Paige of Bash Eco Events and her mad planning skills. Last weekend she threw a seaside birthday bash for 350 kids & adults as a combined 100th birthday (50+40+6+4) for a family. 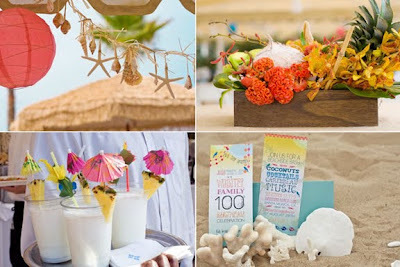 The details are outrageous... a true marriage of fun and sophistication. 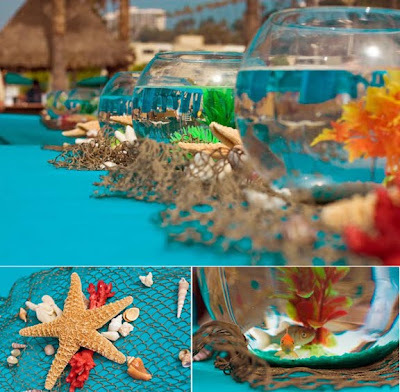 The table centerpieces held live goldfish, the dessert table was a trove of seaside inspired treats, the beach was home to giant sand castles and inflatable bouncy houses, the pina coladas were flowing freely... what a magical event. 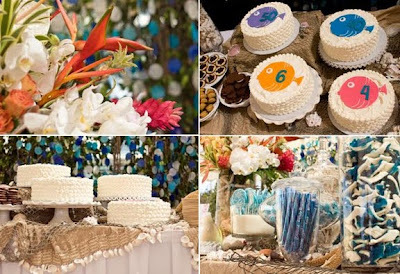 Check out her blog for this and much MUCH more delicious party inspiration. 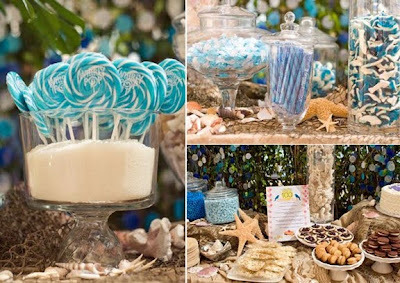 I love this...I am working on an ocean candy buffet, great ideas! 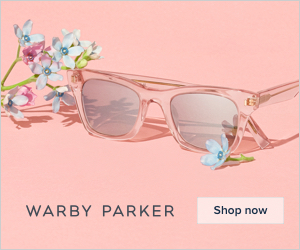 I love the colors, gorgeous post as always. Have a sweet and lovely weekend my darling. Thanks Becca! What a nice post, I love reading your blog. Where ever can I find those cute lollipops?? 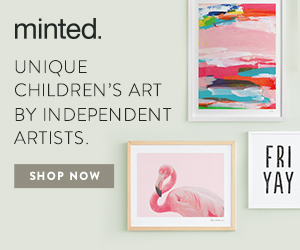 Wow, I love everything about this party! nice find, and happy valentine's day!